What’s the Project? Make this easy kid’s tote bag pattern so that you’ve got a great bag for trips to the library or wherever you are going with your little ones! 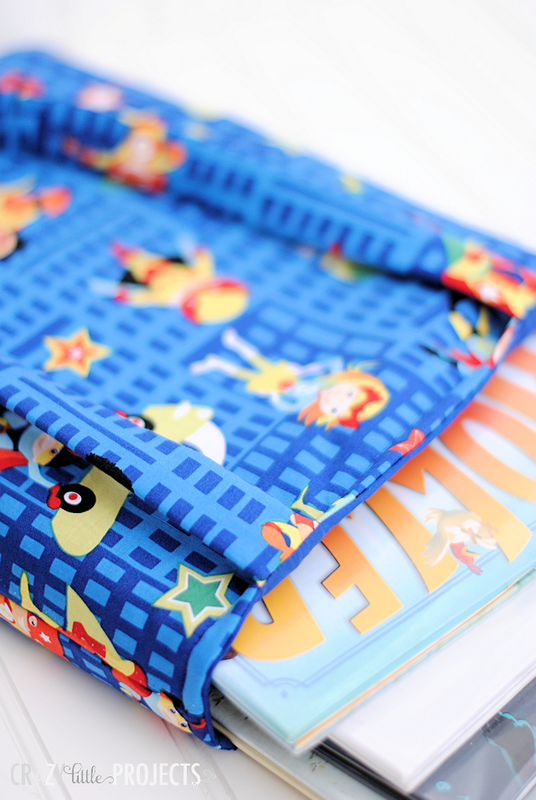 Easy to sew and something your kids will love carrying! Several readers requested a library book bag for their kids to tote books to and from the library. This seemed like a perfect project for this time of year because me and my boys are always going to the library during the summer! 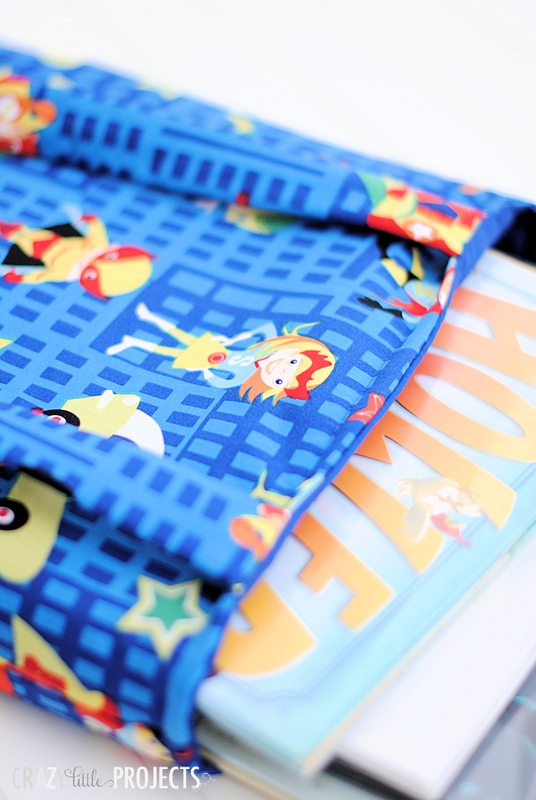 So, here’s a very easy to sew kids library bag tutorial for you! 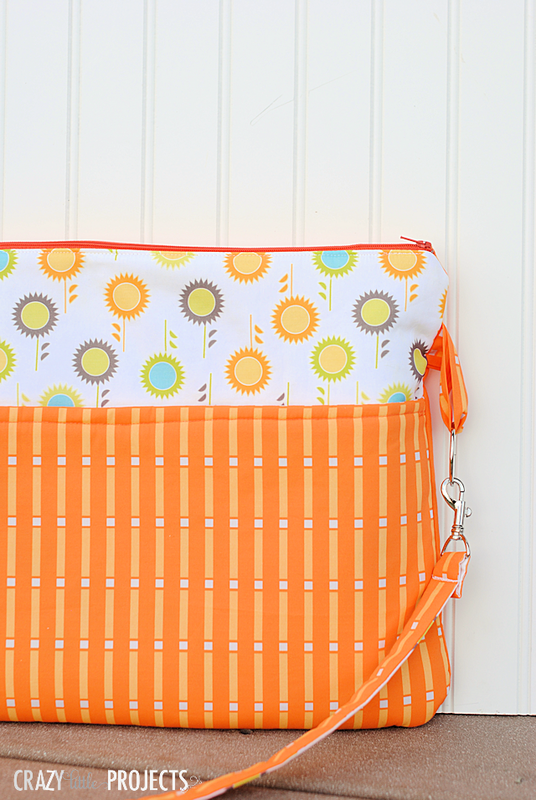 Or you can use this easy kid’s tote bag pattern for wherever you are going! And I promise you, this is a pretty easy project to make. 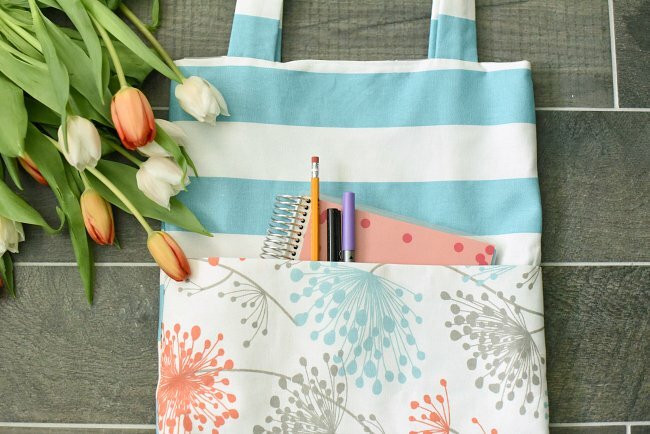 This easy kid’s tote bag pattern is definitely something a beginner could tackle! From your main fabric cut 2 pieces that are about 13 inches across by 15 inches long. Cut the same from your inner fabric. Cut straps that are about 4 inches across by 27 inches long. Cut 2 strap pieces from the fusible interfacing as well as two of the main pieces. Put right sides of the two large pieces of main fabric together and sew around the sides and bottoms. Do the same with your inner fabric. Now let’s make the straps. Fuse the interfacing to the underside. 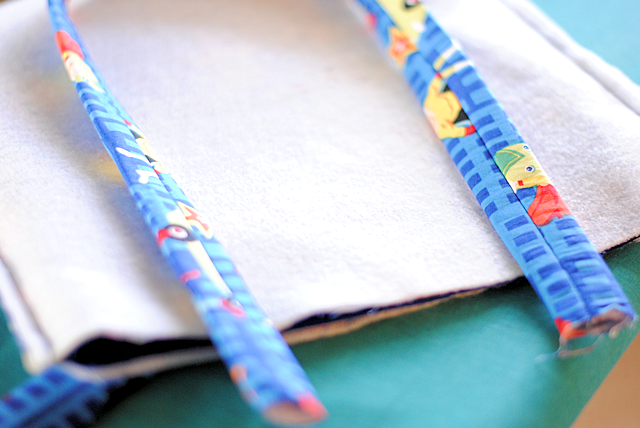 Fold the straps in half lengthwise so that right sides are touching and sew up the long side. Now, turn the inner part of your back right side out. The outer part should still be inside out. Now sew all the way around the top leaving a small 3 or 4 inch opening on the side to turn it. Turn right side out. Press the top edge and press closed the opening, then top stitch all the way around the top to close the opening and make it look nice. And you are done! 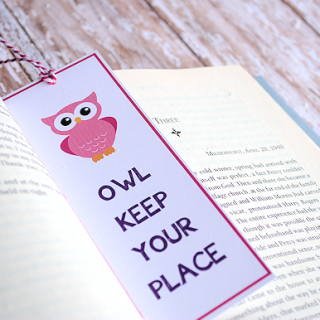 Take this baby to the library and check out some books! 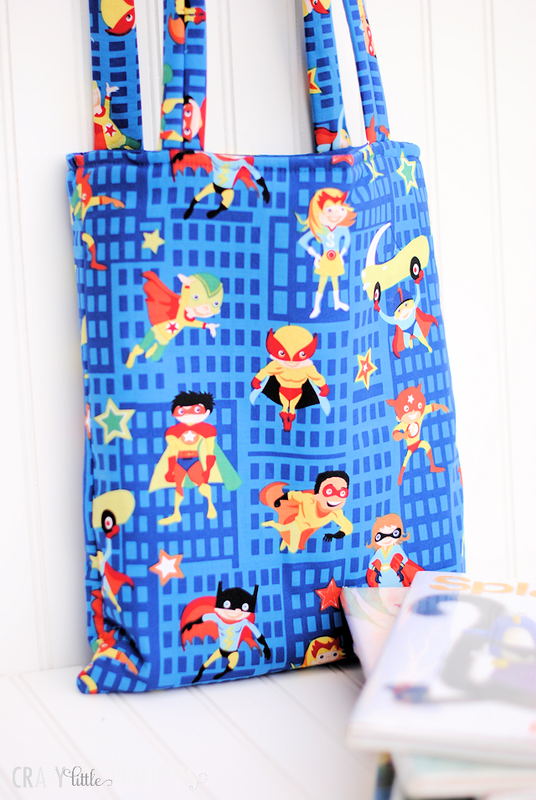 I hope you’ve loved making this fun kid’s tote bag pattern! Love the bag! Can you tell me what material you used? Just wanted to let you know that the measurements for the main fabric is missing one part. It has the 13″, but doesn’t have the other dimension. Love it!! I will be making at least 3 of these and maybe one for me. :-). In the instructions it says main body 13″ across but there is no other measerement. 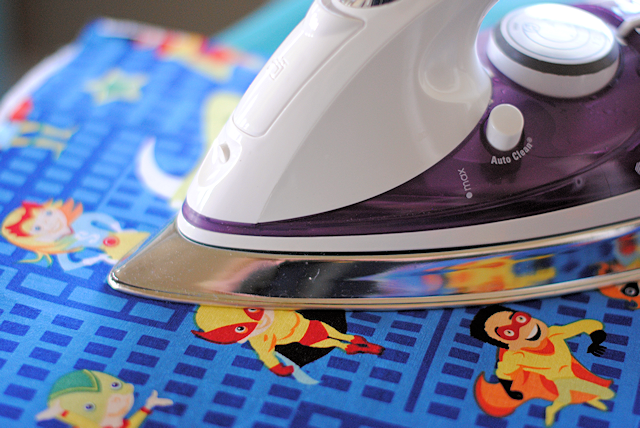 How long did you cut your fabric? Looks like a cute and easy project, Amber, but 13 by ??? I guess it could be whatever size I want, but then I’d have to think! Super cute! I NEED to know what this fabric is and where you got it, I love it! I got it from either http://www.stitchstashdiva.com or http://www.hypernoodlefabric.com I can’t remember! But it was at least a year ago. Great material :) where did you get it? I think I got this from http://www.stitchstashdiva maybe? I don’t have kids or a need for a library bag but I do have a need for a cross-stitch bag. This is the perfect size for a hoop and supplies for whichever project I’m working on. Just what I have been looking for. Thanks so much for posting. Hello Amber! I’m making the bag now. Quick question, where it says “Now, turn the inner part of your back right side out. The outer part should still be inside out.”…should the word “back” be “bag”? Thanks! Thanks for the tutorial amber:) the bag came up really well. Just wanted to make a comment about interfacing which might be very obvious to some but I only realised as I made it – if you choose a strong polyester interfacing instead of a) what is recommended or b) something light/thin or reasonably flexible it is hard to turn the handles the right way out due to extra bulk. i couldnt turn mine out at all so I needed to sew them a completely different way. In regards to the fusible fleece, what weight are you recommending, light, medium, or heaving? I’m a beginner and this will be the first time using fusible fleece. Oh-the stuff I buy doesn’t have a weight so I am not sure. Probably medium? I was wondering if you have any tips on how to turn the straps right side out. I love the pattern, I am just having issues with the straps. I used a lightweight fusible fleece. Thanks! Use a chopstick or other long object to help push it through. My hands are horrible with arthritis — so I don’t do any turning if I don’t need to. Just Pres the two long sides meeting in the middle then fold that in half and top stitch both edges and you have a neat firm 1″ strap which is about the same if you buy strapping material. I also turn my bags by leaving one of the lining side seams open about 3-4″ then I just match the sea edges and sew very close to the edge. It’s on the inside and works just fine with out a lot of stress on hands! Sew a thin piece of ribbon that is about 5″ longer than the strap to the right side at one of the ends of the strap, then sew as normal, making sure the ribbon doesn’t get caught in the seam. 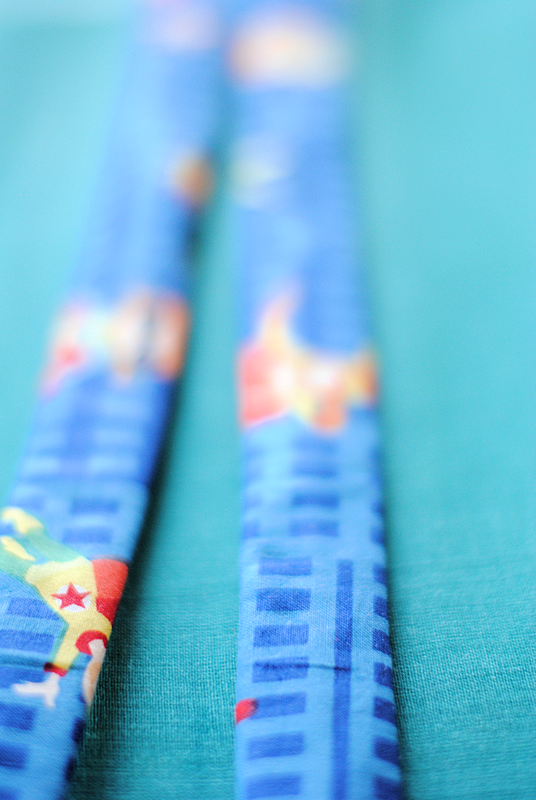 Once you have sewn the whole length, ypu can simply pull the ribbon through the tunnel, and it’s right side out. I want to make a tote like this, only much smaller, for a toddler to carry around like a pretend purse. Do you have any recommendations for how to size this pattern down? (I’m a novice so I’m not sure if it will work to simply cut the measurements in half the way I would for cooking.) Or perhaps you could suggest another, very simple pattern? Yes, just size them down proportionally depending on how much smaller you want to go. I was wondering if this would be a decent size for a coloring book? I have already made some crayon rolls for all the kids in the family, and thought a tote with a coloring book would be a great addition, thanks! Yes it would be just right for coloring books! Thank you so much! I pinned so many patterns and tutorials for an easy tote bag, but this one made the most sense to me. I used it to make a trick or treat bag. 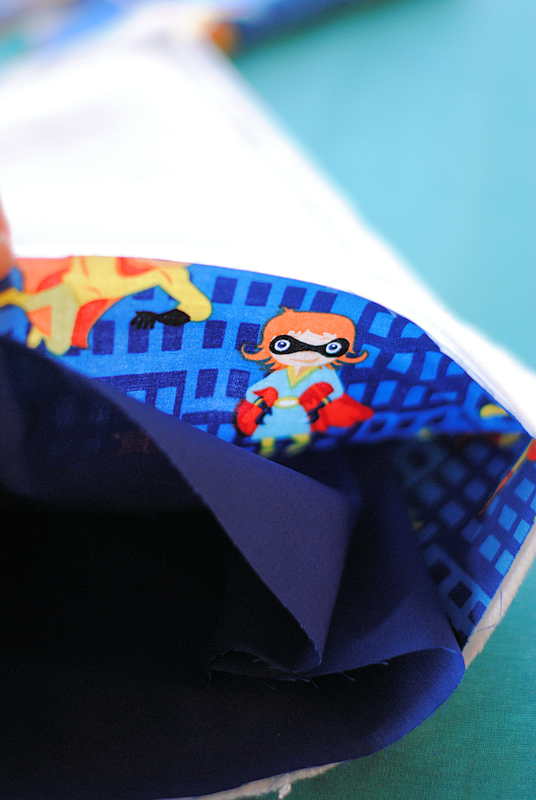 I was previously intimidated by fusible interfacing, but it was way easier than I thought. I ran out of fabric and used webbing for the handles. Thanks again!!! So I bought a 1/2 yard of main fabric and 1/2 yard of inside fabric. 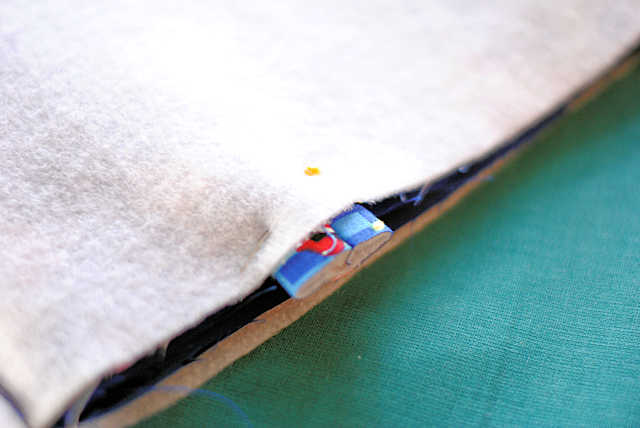 If I cut my 13 x 15 piece from an 18″ piece, it doesn’t leave me 4″ + 4″ for the straps. Did you take 1 of the strap pieces from the 15″ piece? Eek! I don’t remember for sure but maybe I better up how much fabric I tell people to get? What was the seam allowance you used, was it 1/2″. This is such a cute tote library bag. I am making one for my Grandson for his 3rd birthday and making an applique for the front of Mickey mouse on the bag!